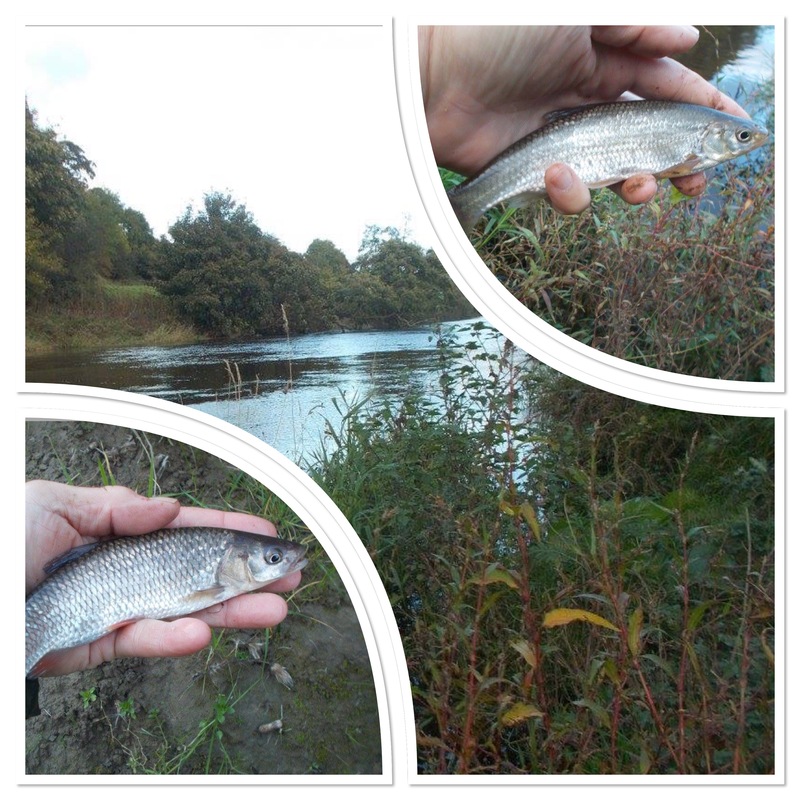 My first session of the week was on the local canal, on a spot where I have caught some big ruffe on previous sessions. Fishing an hour and a half up to dark, conditions were good and I was hopeful. I wasn’t disappointed, as again I caught well. If you didn’t know anything about angling you’d ask why am I getting excited about small fish. Well, of course if you are a fisherman then you’ll know that they’re excellent specimens. In record percentage terms you’re looking at 40lb carp or 16lb barbel. That brings everything into perspective. Still with the canal in mind, my next outing had perch as the target species. Time was tight though and as I hit some very heavy traffic on the way, I decided to turn off and fish a pool instead. 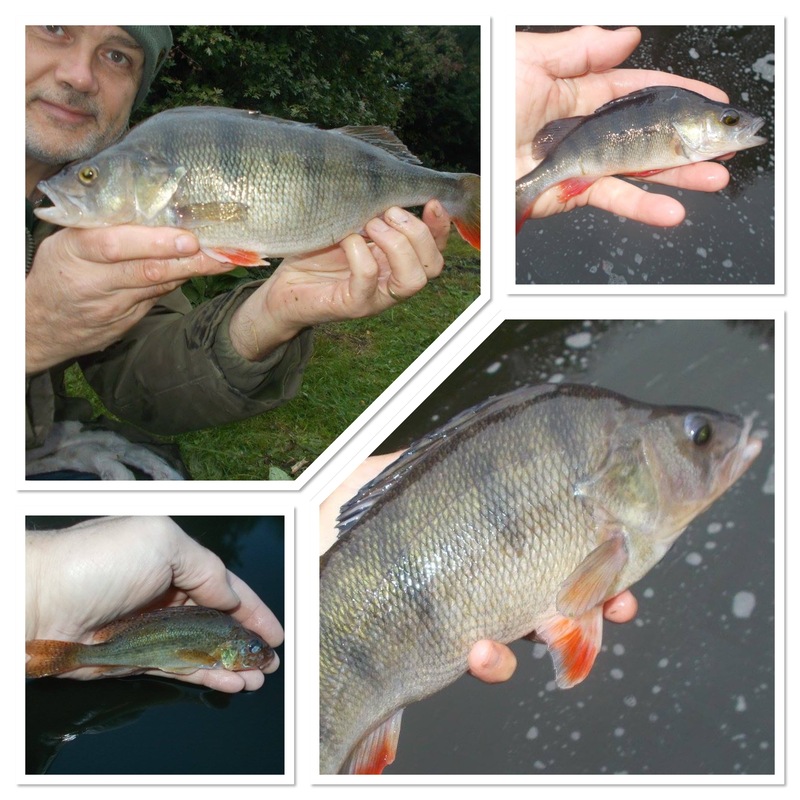 I actually had one particular swim in mind, with stone structure in the water where I have seen – and caught – some nice perch previously. This time though I couldn’t spot any fish at all. There for just forty-five minutes, I left knowing that at least I had given it my best shot. The next outings were back on the canal and, as well as small perch, I also banked something more substantial. Although I always set my stall out to get among the bigger fish in the venue, it’s not always possible to exclude smaller ones. However, I must say that isn’t an issue anyway. As I often state, via my blog, there’s no such thing as a nuisance fish. When I go angling I always have specifics in mind in terms of target, but if something else shows up, it’s never a disappointment. I managed a few canal sessions this week and all very enjoyable they were as well. With venues not too far away, plus my rod already made up, it’s a great way of getting extra sessions in. My basic approach is 6lb line straight through to a size 10 Drennan Super Specialist hook. The hook-length of about six inches is created by nipping on a small shot and a 5mm bead. Simplicity in itself, but it works and that’s the important thing. Always wanting to keep pushing forward in terms of getting the most out of life on a personal level, my final outing of the blog entry saw me head into the Welsh county of Montgomeryshire. Having been at TNS during the day, my plan was to drive to the Vyrnwy for a couple of hour’s fishing before then going to a game on the evening. Football and fishing, it’s a hard life but someone has to live it. Anyway you can see how I got on via the video. I will certainly be back as I thoroughly enjoyed myself. These are the sort of venues that, because of motoring costs, mean it’s not practical to visit for a few hours or so. However, as I’m in the wider area anyway, it’s definitely a case of ‘killing two birds with one stone’. The Vyrnwy by the way, if you’re not aware, is a tributary of the Severn. I have access to a lot of water via the various club books that I have, so I’m looking forward to getting among some fish over the coming months. 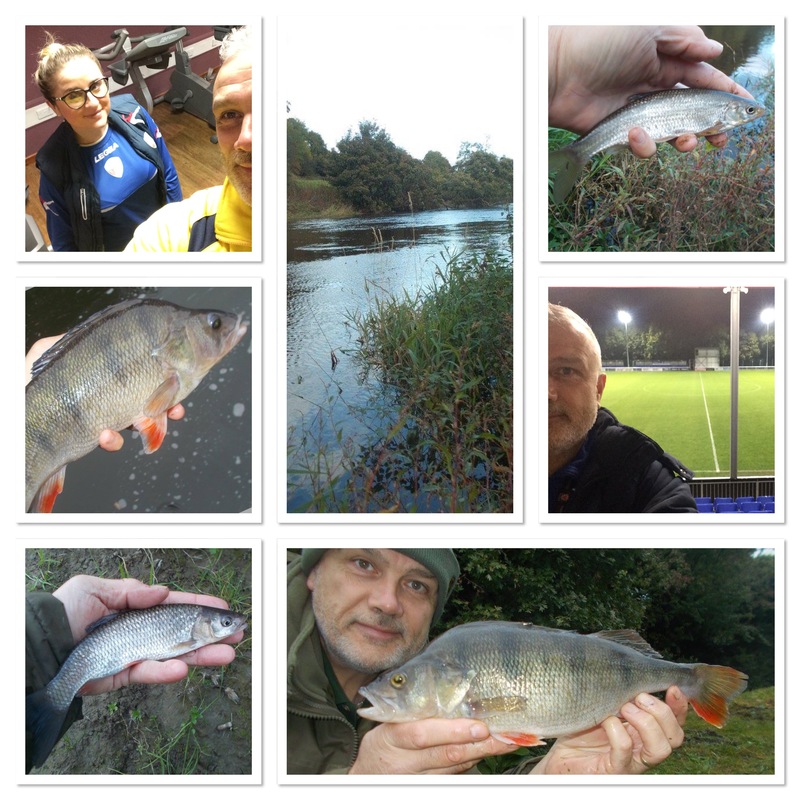 As the river contains grayling, that’s perfect of course for when the really cold weather hits. While out and about, I spotted a wood pigeon at a nesting site, with two young. Although well-developed and ready to move on shortly, nevertheless quite a decent sighting for late October. I had my camcorder with me and so grabbed some footage that I created a video from. Although I’ve seen the African ‘Big Five’ in their native environment, I’m still a massive fan of British nature and that’s why it features in my blog. I’ve kept a daily list of sightings as well, from this month, and they can be viewed via the link at the head of the page – or in ‘Menu’ depending on how you access this site. Driving to Oswestry for a Welsh Premier League game on Sunday afternoon, I spotted a flock of c.200 lapwing near Shrawardine. Although a regular feature in years gone by, sadly these days not so common. Therefore it was great to see such a healthy number of Shropshire birds. Obviously you’re keep your eyes on the road at all times, but when you are a keen naturalist, as I am, you do develop an extra dimension that allows you to multi-task safely. In fact, wherever I am or whatever I’m doing, I’m always switched on to the natural world around. This week I’ve joined the gym at The Venue, which is the wider facility attached to TNS. I’m looking forward to my visits, which will be every time I’m at Park Hall, so as they say, watch this space. The football went to plan on Sunday, as TNS made it 12 consecutive WPL wins, although Newtown AFC made it very difficult. It wasn’t until seven minutes from the end though, as Robbie Parry got a head to a Chris Seargeant free-kick, that the deadlock was broken. I enjoyed doing TNS Radio and we had Tom Matthews on with us again. Tom was signed from QPR in the summer and as he’s currently injured, he’s been joining us on air. Following the game I interviewed the Harrisons, manager Craig and captain Paul, for TNS TV. Middlesbrough, Crystal Palace and Preston North End fans my remember Craig from his playing days. With the TNS v Newtown game my 43rd of the season, a day later I was up to 44 when I went to watch Stourbridge play Stratford Town in the Birmingham Senior Cup. This was my third visit to the ground and I must say I am enjoying myself very much. Well on the way to my target for the season, I was at Bangor City v TNS in the Welsh League Cup on Tuesday evening. Obviously it is quite a challenge to be at 100 games this season, but being involved with The New Saints helps, as that alone will provide at least half the fixtures. However, whether watching, commentating or playing, it’s all good. You can’t get enough football, and talking of that I also turned out myself this week as well. You can connect with me via my social media accounts at the base of the page. Whether Facebook, Twitter or YouTube, feel free to send a friend request, follow or subscribe. I like the connection-with-people aspect of social media and my internet presence in that respect is a happy one. To keep in touch with these weekly blog updates, why not subscribe? This blog entry is the 694th consecutive Saturday that I’ve published one.